Were you at square dancing? Who made the Hexum family outfits? Your whole family always matched perfectly. 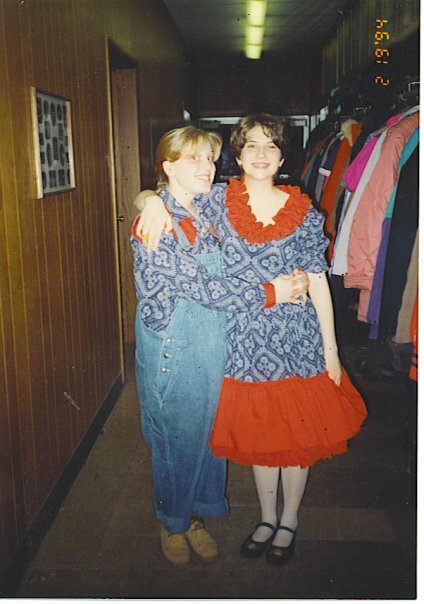 Actually, I think we were just wearing square dancing outfits to a hoedown party. That's hilarious! I'm Swiper to your Dora. Tallulah to your Blousey.